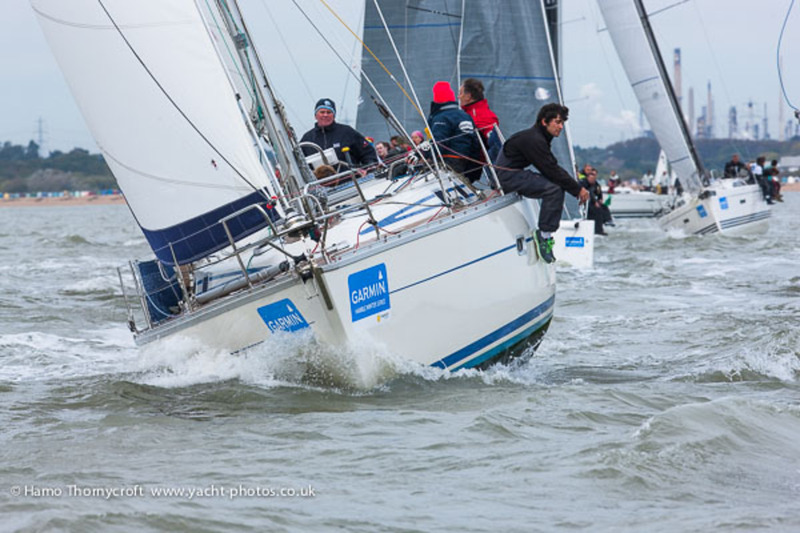 We've reached the halfway stage in the 2014 Garmin Hamble Winter Series and a well-deserved mid-series break weekend. 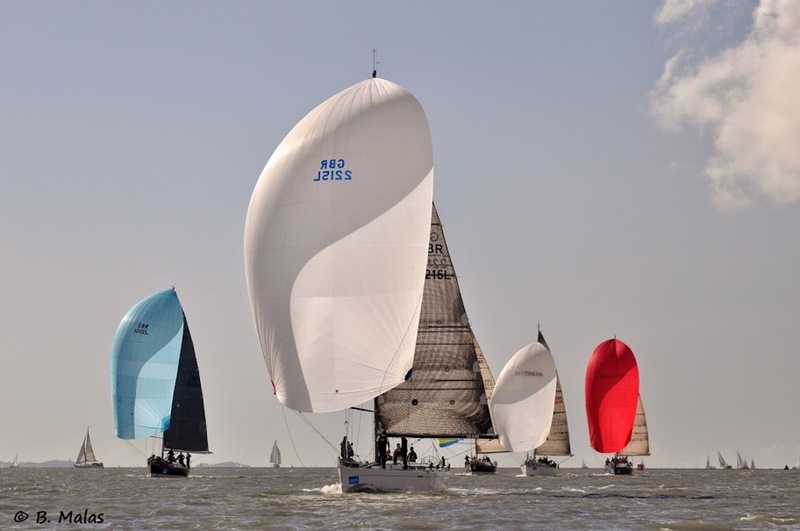 A range of weather conditions has tested competitors, with everything from flat calms to thirty knot gusts keeping fleets mixed up and boats changing positions from week to week. Looking ahead to the next half of the series, some exciting battles are lined up throughout the 80 plus black boat fleet. In some classes, it's super close at the top. In IRC 3, one point separates the J/97s ETB Tyres Just Like That and Blackjack II from first and second. In others, the leaders have sailed a perfect series, boats like Bernard Olesinski's Xinska, with 5 wins from 6 races. 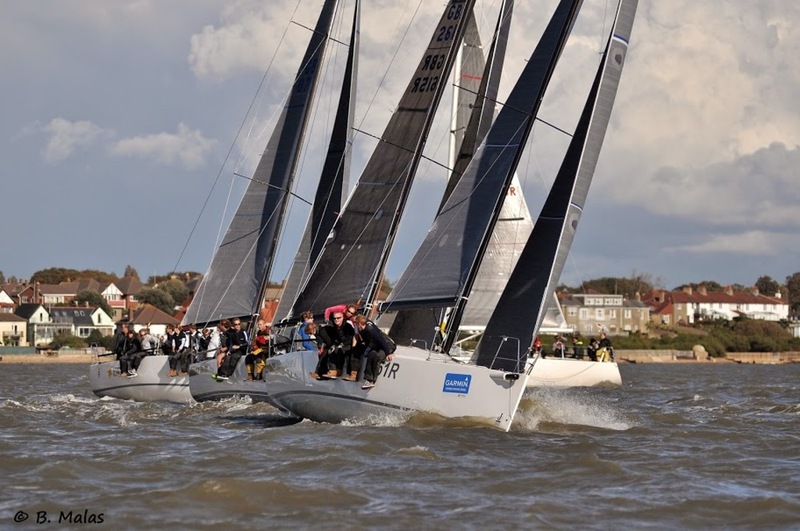 But in each class there are battles between boats which look set to provide some tactical and busy racing as the series resumes on Sunday 9th November. With just one race per day for the four remaining weekends, it's not too late to knock the leaders off their podiums. In IRC0, Martin Dent's J/111 JElvis currently leads the fleet, four points ahead of Farr 45 Kolga and J/111 Journeymaker II, who are tied on points in second and third places. 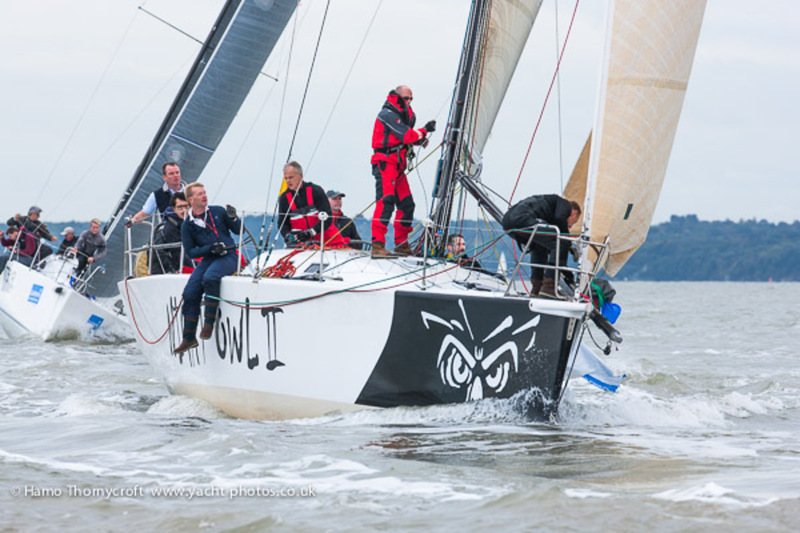 Xinska might be leading the IRC1 class by seven points, but Tim Octon's Doyle Sails in second place and Stuart Wilkie's Puma in third are only two points apart and look set to chase Xinska hard for her first place. 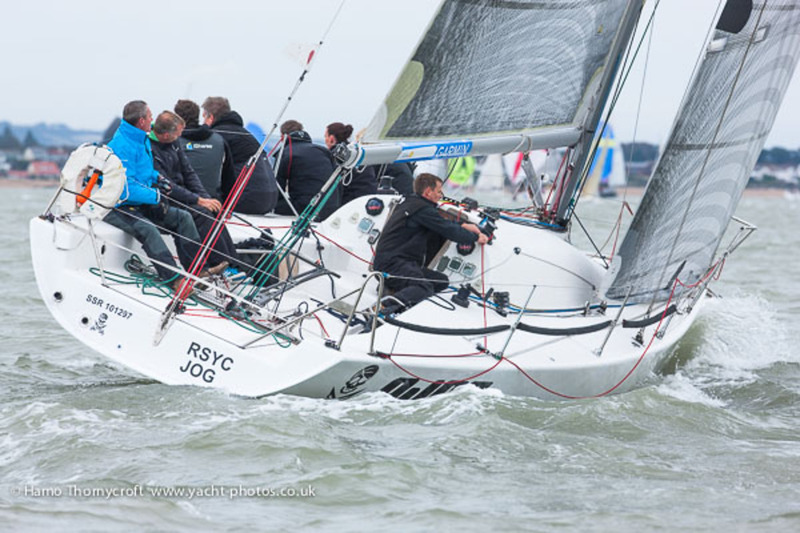 Richard Searle's JPK1010 Pincer Movement leads IRC2 by seven points, but second-placed Hot Rats and third-placed Malice are only a point apart after 6 races and will be fighting to the end. In IRC 3, J/97s take the top two spots, with ETB Tyres Just Like That and Blackjack II separated by only a point. Wee Bear in 3rd place isn't far behind, engaged in her own tussle with fellow Hamble boat La Nef IV. Sigma 33 Stan the Boat has a healthy lead over the rest of IRC 4, five points clear from X-95 Crakajax, herself five points clear of Impala 28 Polly in third. Quarter Tonner Flashheart is only 1.5 points behind in fouth, leaving much to play for in the second half of the series. Polly leads the 7-strong Impala fleet in IRC 4, with Two Frank in second, but a close battle is building for third place, with Magic and Imptish equal on points. 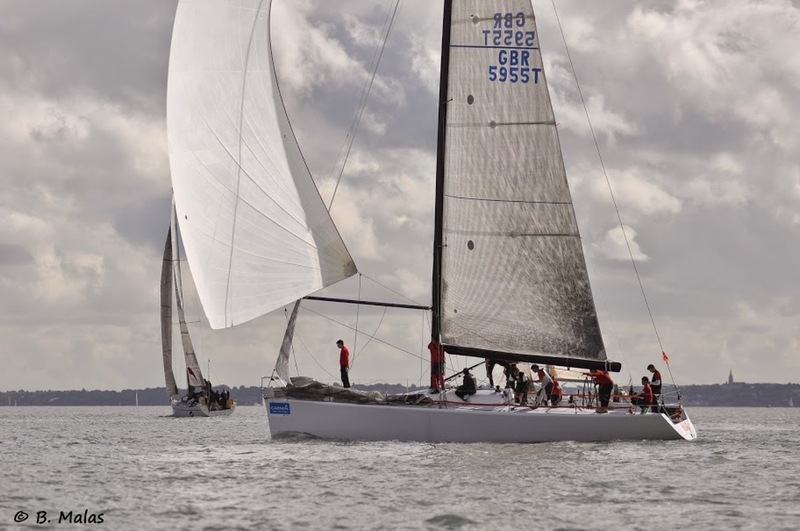 The Impalas' larger David Thomas-designed sister, the Sigma 38, has the biggest one deisgn fleet in the series, and is led by 9 points by Nigel Goodhew's Persephone who has sailed a cracking series so far with a near perfect scoreline of five firsts from six races. John and Susan Rainger on Light are only two points ahead of third-placed Kindred Spirit. This close fleet should produce some exciting racing in the second half of the series. Things are also close in the J/109s, where Adrian Wheal's Jolly Jack Tar is only one point ahead of Roger Philips' Designstar II. Owain Franks' Jynnan Tonnyx, in third, and Chris Burleigh's Jybe Talking in fourth are close enough to make for a good battle in the second half of the series, starting this Sunday. We look forward to seeing you all again this Sunday, and don't forget to come back to the clubhouse after racing for refreshments and a prizegiving, with prizes for the highest-placed crew present in each class provided by a day sponsor. Racing on the first and third weekends of the main series, the Doyle Sails Hamble One Design Championships hosted racing for the SB20, J/70, J/80 and J/109 classes, which enjoyed some thrilling, close racing in exciting conditions over the two weekends in a mixed bag of weather conditions. Over the two weekends, the J/109s fitted in 9 races. This class was won by Tony Dickin's Jubilee, tied on points but edging ahead of Iain MacKinnon's Tigh Solius II on countback. Steven Tapper's Stalker was in third place. In the white fleet, the J/70s were racing for a place at their World Championships. Over 10 races, it was David Atkinson's Jawbreaker that topped the fleet, finishing 9 points clear of Simon Cavey's Just4Play. Nick Munday's J7t was third. The J/80s were won by Douglas Struth and crew in DSP. They finished eight points ahead of second-placed Jalapeno, with Yannig Loyer's J-out of the Box in third place. The SB20s were led by Jerry Hill's Sportsboatworld.com, ahead of Scott Graham's Chill Pill + in second, and Tom Clay's Whyaduck in third. 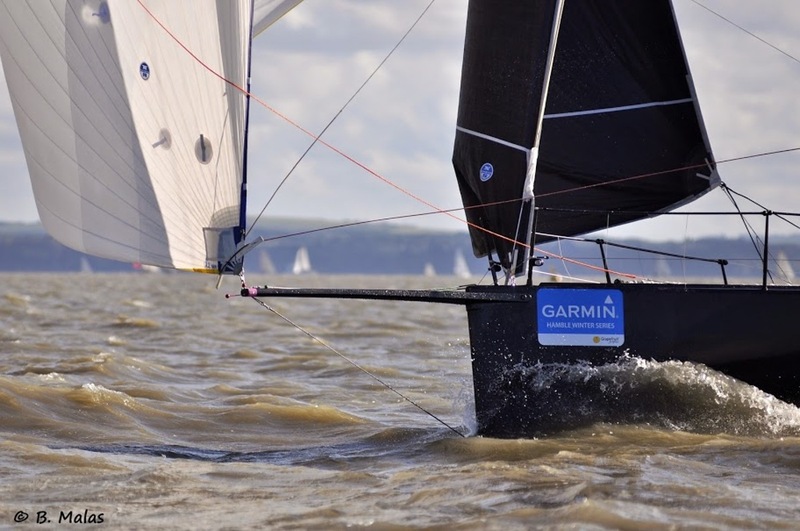 Between Chill Pill and Fourth-placed SBeed, there were only two points separating the three boats. 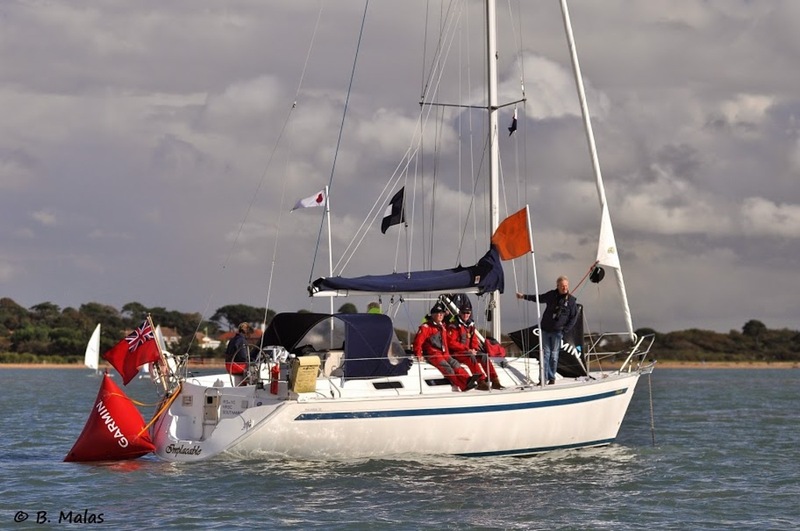 The second and fourth weekends of the series also hosted the MDL Hamble Big Boats Championships. 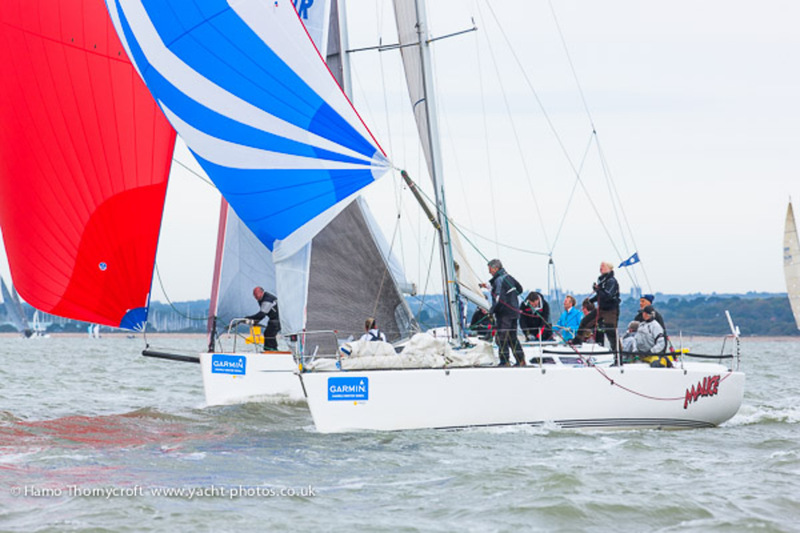 Featuring racing for IRC 0, IRC 1, Farr 45 and J/111, both weekends delivered some close racing for the assembled fleet which attracted some of the most impressive new boats and top racing crews to the central Solent. 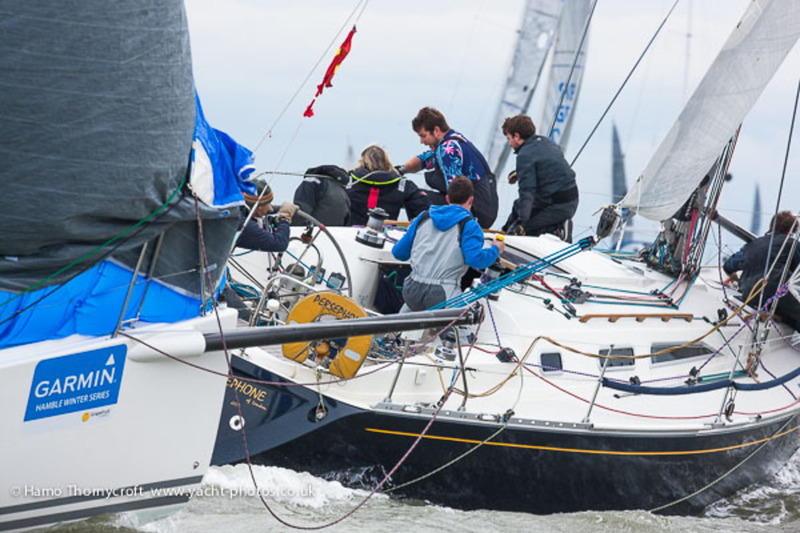 IRC 0 was won by Michael Bartholomew's GP42 Tokoloshe II, which put in an impressive performance to win the class by 14 points after two weekends' racing. Cornel Riklin's J/111 Jitterbug was second, and also won the J/111 class. 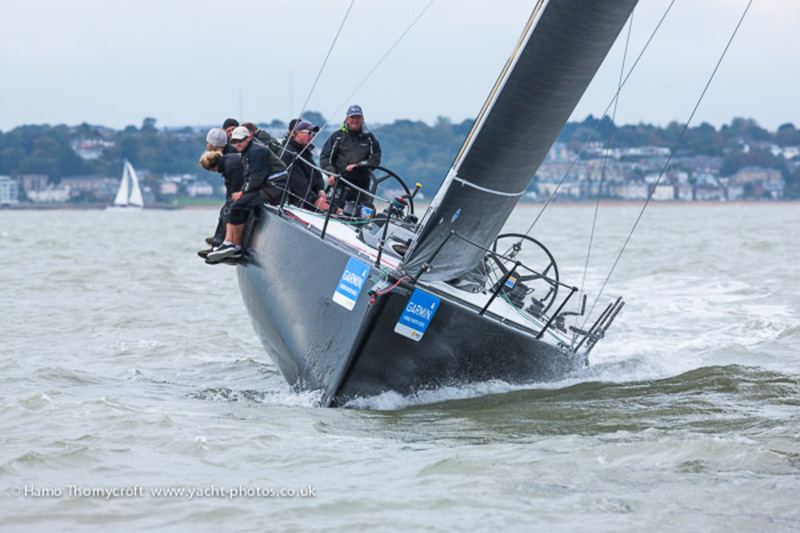 Jeffrey Blue's Farr 45 Espresso Martini was third in IRC 0, and also won the Farr 45s, ahead of the British Keelboat Academy on Kolga and Lloyd Hamilton's Toe in the Water Too. 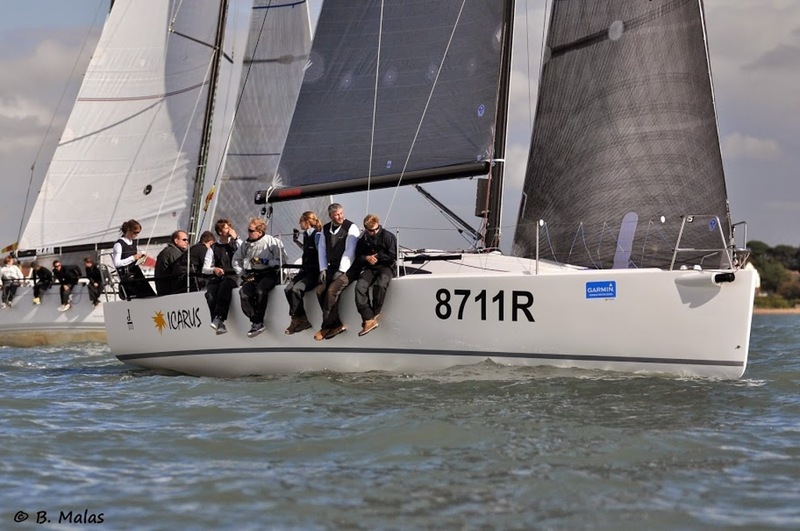 Bernard Olesinski's Xinska carried her success in IRC 1 in the Garmin Hamble Winter Series over to the MDL Big Boat Championships, winning the class by four points from Jim Macgregor's Premier Flair. 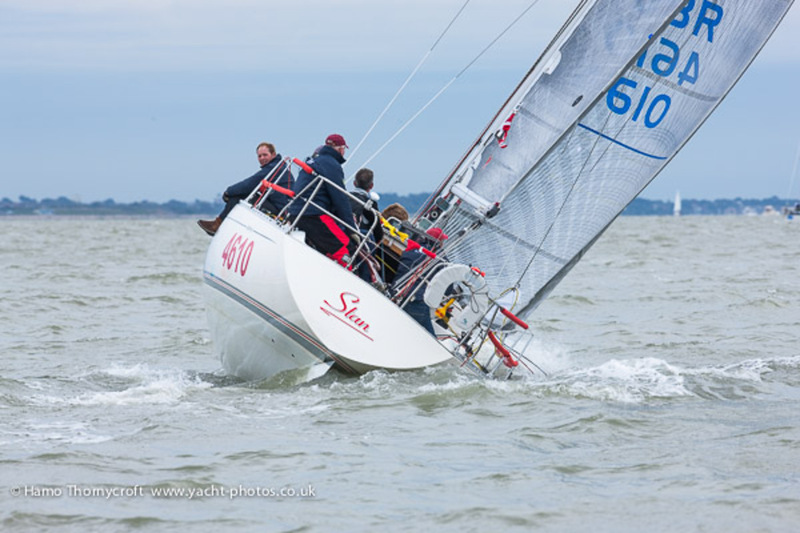 Stuart Wilkie's Reflex 38 Puma came third in the class.